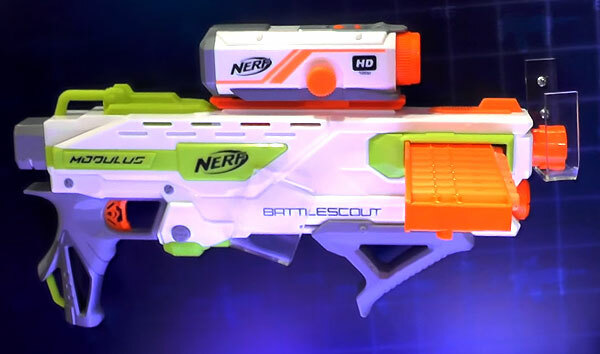 Hasbro includes a 720P camera on its new N-Strike Modulus Battlescout ICS-10. Wouldn’t it be cool if there was a Nerf blaster with a camera on it? 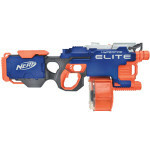 In 2014, Nerf came out with its first ever blaster with built in camera called the N Strike Cam ECS-12, which received mixed reviews. It wasn’t the best Nerf gun. The actual camera recorded at only 480p and the audio quality was hampered by the loud motor. In 2016, we finally have a follow-up blaster, the N-Strike Modulus Battlescout ICS-10. This one makes a number of small improvements over the original. This time the camera is completely removable and it records in HD. 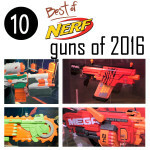 At Toy Fair 2016, Hasbro showed of all its new Nerf guns for 2016. We finally got a chance to see the N-Strike Modulus Battlescout ICS-10 in action. We don’t really expect much from this blaster. It’s obvious that Hasbro is trying to appeal to kids who just want to have fun. Just about everyone with a Nerf gun would like to attach a Go Pro Hero to it. The only problem? The Go Pro camera is not exactly inexpensive. For less than $100, the N-Strike BattleScout includes a removable 720P HD camera. You can record all your battles. You can then remove the card from the camera and edit the videos or share them with friends. Because the camera is removable, it can be attached to other Nerf guns with a tac rail. The camera can actually be clamped on tightly so that when you are running it stays firmly in place. The camera should also be able to be used as a standalone unit. Even at $70, we don’t expect much from the add-on camera. We are interested to test the performance of the camera to see how it compares to an entry level Go Pro camera or even a cell phone camera. We didn’t get a chance to test the battery life of the camera but it does use 4 triple A batteries. A better option would have been a rechargeable camera. Don’t expect a lot out of the actual blaster. The most interesting thing is that the blaster itself is not battery operated. 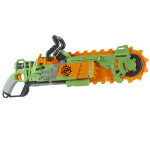 It instead uses a unique 10 dart integrated clip that enters sideways into the blaster’s body. It’s a springer clip blaster that is not removable. To fire, you must manually prime the blaster, which makes sense as you wouldn’t want to hear motorized sounds on your recorded video. Still, this comes at a cost of the actual blaster. At $70, this blaster is fairly pricey for what you are getting. It’s essentially a battery operated Nerf camera.